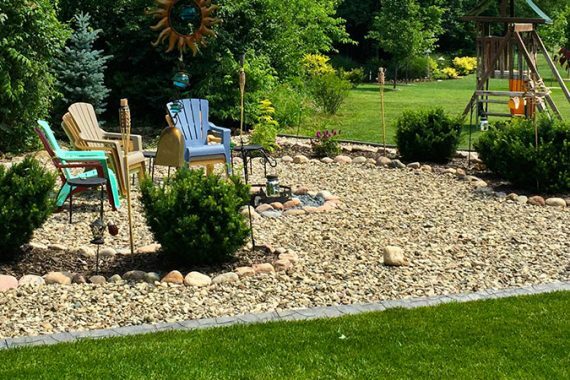 River rock has become a popular landscaping material, due to its natural beauty, versatility, and low-maintenance, budget-friendly curb appeal. 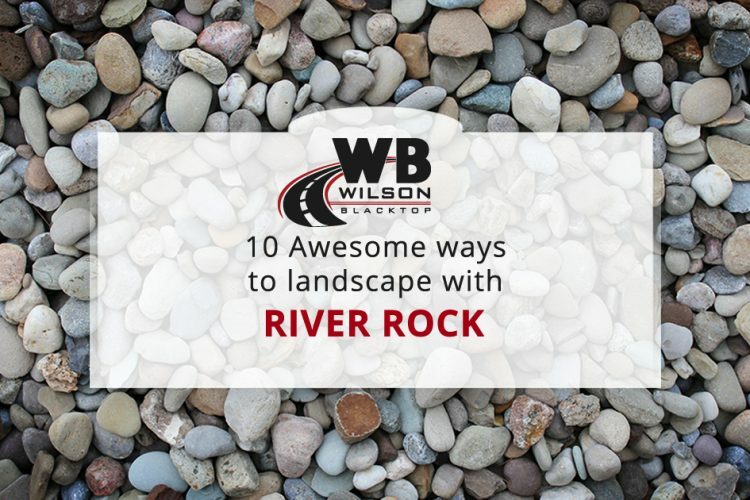 Combine river rocks with other natural elements in your yard to create a visual style. You can use them to fill in gaps between flagstones or create a border around a mulch bed. Just be sure to limit options to two or three variations to keep it coherent. 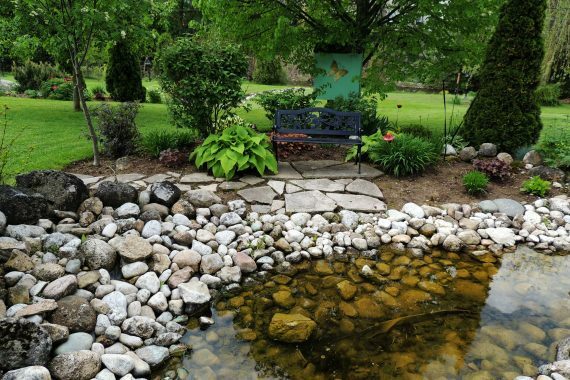 For purely aesthetic purposes, use river rock to create a dry creek bed that winds across your property, leading the eye through your landscaping. You can also use it to channel water through the property, which will solve drainage problems in areas where grass or other material may erode. Get creative, and make your own personal retreat. 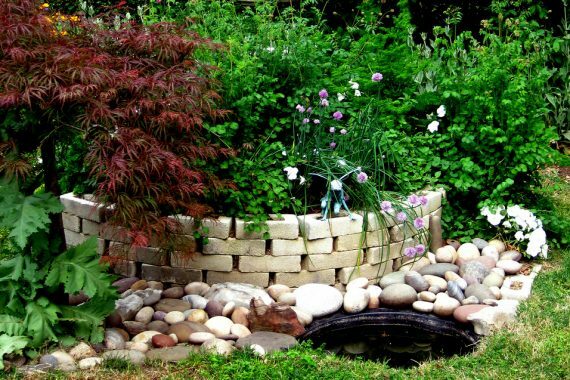 Use river rock to create a meditation walk or courtyard retreat, complete with a fire pit or butterfly garden. The options are virtually endless. 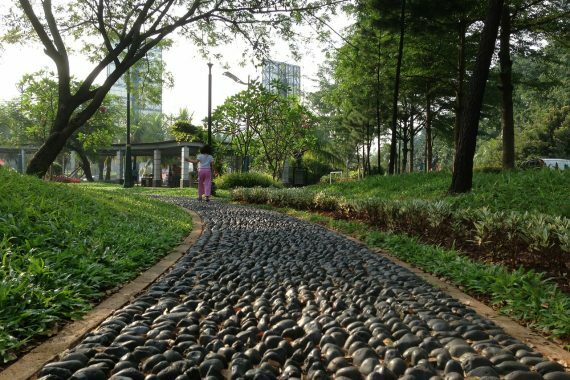 River rock can make a welcoming and functional walkway, entrance, or garden path. Use border material to hold the rock in place, especially if you will be mulching or mowing along the edges. Fill border areas next to a fence, living wall, or other large structure. River rock not only stands out visually, it stays in place better than lighter materials. Smaller rocks can replace wood-based mulch in gardens and around bushes. With a multitude of colors to choose from, you can create a visually appealing, low-maintenance landscape. 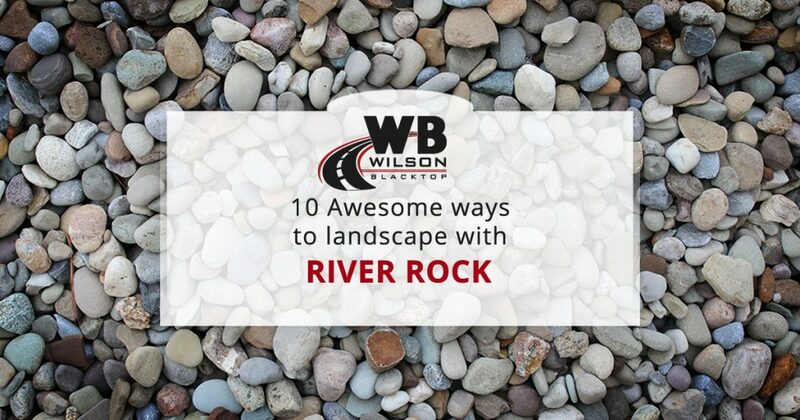 Use river rock to accent larger focal pieces, such as angular boulders. Using varying shapes and sizes of similar material places emphasis on structure. Muted rock colors such as gray or tan are the perfect canvas for bold flowers. Play around with design ideas to draw the eye in and around your area. River rock can make a lasting, appealing veneer around a large structure, such as an outdoor fireplace. Or you can create an outdoor shower with a bare-feet-friendly, naturally draining river rock floor. There are a few different ways to create shapes with river rock. You can use bender board to carve out an area for a rock bed or use the rocks to surround shaped areas of grass or other vegetation. Have ideas or questions about landscaping with river rock? Bring them to Wilson Blacktop, where we carry a wide variety of landscaping materials, which we will deliver within a 50-mile radius of our home in Martins Ferry, Ohio. I like that you talk about how landscape rocks can provide nice contrast with the plants. It makes sense that this could be nice because the yard would have a new look without a lot of extra maintenance. This could work particularly well for my home if I’m able to get large boulders to accent the fill rock because it would allow for a very unique look to my area. These are some really cool ideas! I really want to build a little oasis in my back yard. I really like your idea to create a border using river rock. I have a couple of hedges in my backyard that I think would look really great with some decorative rock in front of them. The rock will help them stand out against the grass and really look nice. Wow! I’ve never considered using river rock to make a pathway or to use as mulch replacement. My daughters and I were looking for ideas of how to use landscape rock for our backyard renovation project, so it helped us to see how many ways we can think outside of the box with just river rocks. 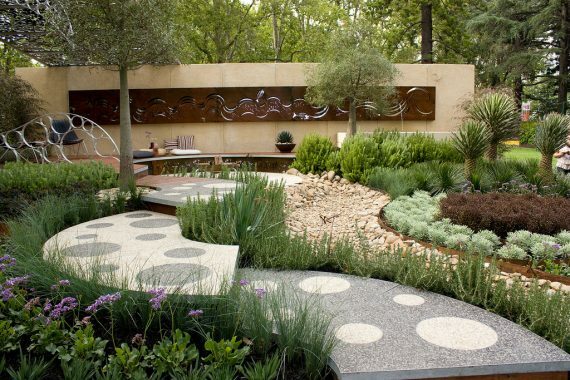 When we’re building our rock garden, we’ll be sure to use some of your tips, like mixing up shapes and sizes and using vivid plants for contrast.